How To: Thank My Donors Through A Pure Charity Update? We always encourage thank you's to donor's who give generously to our fundraiser organizers! We provide an easy way to thank all of your donors by sending a Fundraiser Update. An Update works just like an email - type your message in the Content Field and push send. It is now sent to all of your donors! Quick and easy! 2. Make sure all of your text is correct before you push send. Once you push send, you cannot edit any text. Ready to send an update? Go to your Fundraiser page and then click Update. Want to send thank-you's the old fashion way? We love that too! 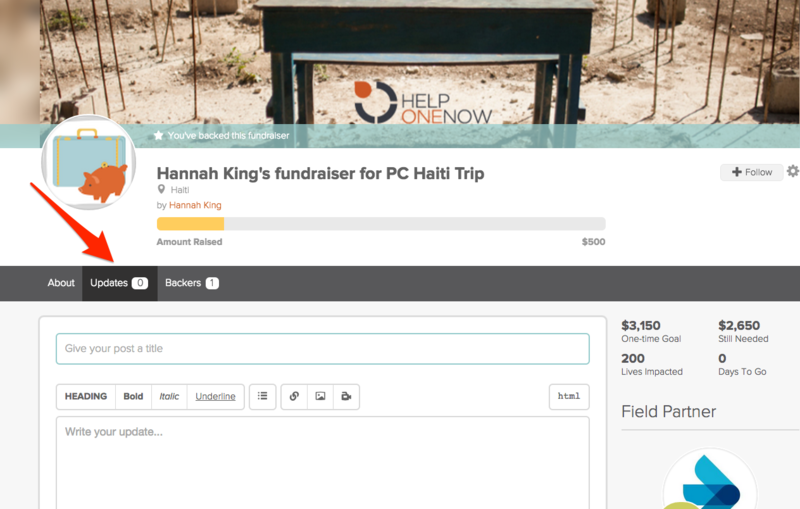 Download a Donations report from your Field Partner dashboard to access all donor information.